Looking for an extracurricular activity for your kids? Maybe for yourself, or the whole family? If you live in or near Troutdale, OR consider signing up for the 8-week Taekwondo course being offered at the City Conference building. The course is for ages 6 and up, and all skill levels are welcome! Sign up today! 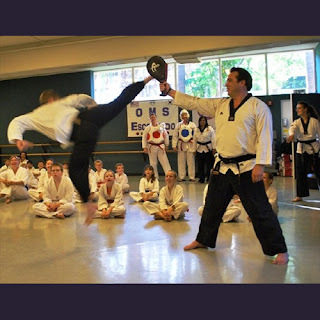 Youn Wha Ryu Taekwondo is an ancient and complex self-defense system that goes beyond kicking and punching. Students learn practical self-defense concepts that focus on increasing reaction, timing, speed and full body power. These dynamic classes combine both aerobic and anaerobic training and encourage the development of self-discipline, balance, coordination, agility, flexibility and overall total body strength. Children and adults can train together for great family fun and fitness. Beginners are always welcome!